Trace Schlenker submitted this photo and caption. 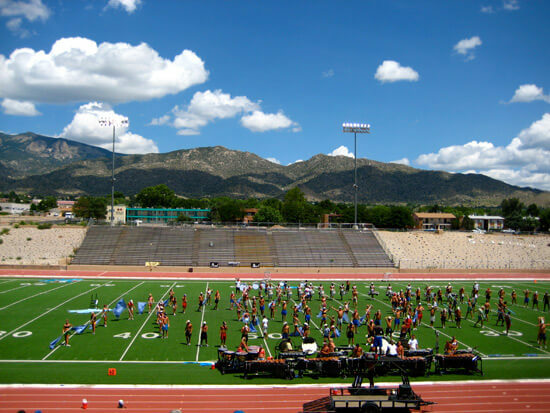 Here's a shot of the 2007 Phantom Regiment, rehearsing their show "On Air," during the 2007 DCI Tour. This shot was taken in beautiful New Mexico, near Albuquerque.